Anne Washburn’s “Mr. Burns, a Post-Electric Play” is a charged show. It’s a part-comedy and part post-apocalyptic social commentary in which survivors work first to piece together an episode of “The Simpsons,” then to form a theater company that reenacts those scenes exclusively, and, finally, to transform that episode into a hip-hop, operetta, Greek tragedy mash-up of epic proportions. The story unfolds in the aftermath of a nuclear-meltdown that has left the country in a destroyed, electricity-less darkness. This week, Harvard students are bringing the eclectic show to the Loeb Ex. Director Nick D. Hornedo ’19 takes this premise one step further. The action takes place, geographically, at the border between the US and Mexico. The set is a border wall, rendered defunct by the collapse of both countries. In one scene, a baby is ripped out of its mother’s arms. The audience is placed, quite literally, within one striking, poignant reflection on contemporary society. The border wall set is designed by Connie K. Zhao ’19, who describes it as a “3-D puzzle piece.” It is a monolith of cardboard boxes whose purpose is to reveal a bit more about the story and, as it shifts from act to act, move the story forward. The show’s venue, the Loeb Ex, also enhances the experience as this black box theater puts the performers on the same level as the audience. Zhao hopes that by immersing the audience into the scene, by seating them among the actors, they can connect more deeply with the story. “We want the audience to feel that these are their people,” Zhao says. Bianca I. Rodriguez ’20, who plays one of the survivors, Colleen, and Simpson matriarch Marge, spoke further about the implications of the show. “Everybody knows Marge from The Simpsons, right?” Rodriguez says. Yet, in the context of the violent post-apocalyptic America, wrought with gun violence, these characters are transformed. Rodriguez draws a striking parallel to her Latin American heritage. “Where my family’s from, Tamaulipas, there’s a gang, the Zatas...that just made violence for violence’s sake,” Rodriguez says. Hornedo, in the end, is trying to show how people in the wake of great violence use memory and storytelling to make sense of it all. “Art is a memorial to the loved ones that have been lost,” Hornedo says. Whether it’s the sugar skulls of Día de Muertos or “The Simpsons” in a post-apocalyptic North American wasteland, people use art to remember the past and solidify a new identity. During its two week long run, this show will attempt to do just that. “Mr. 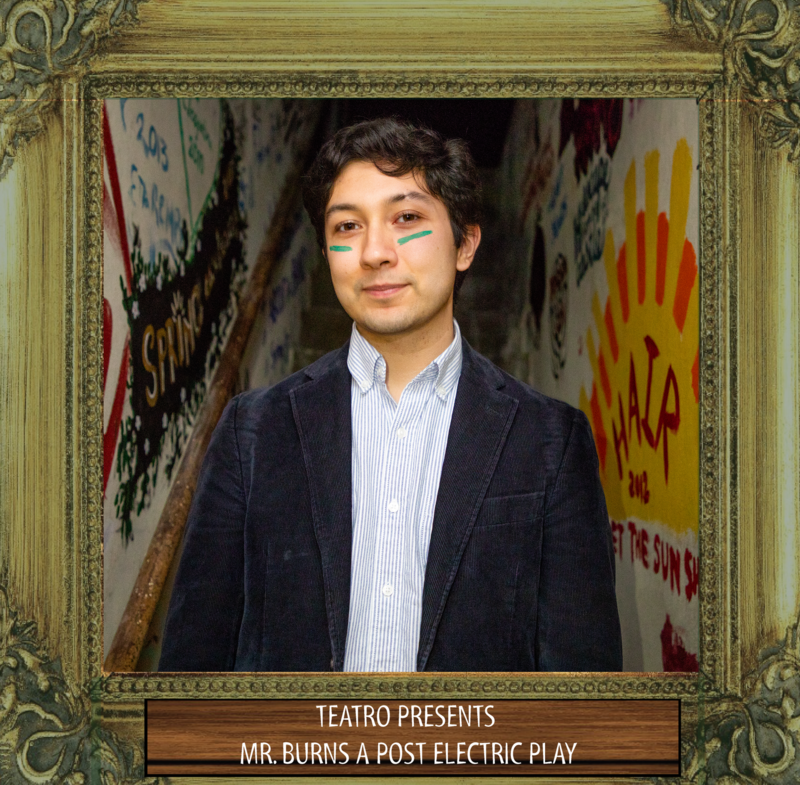 Burns, a Post-Electric Play” will run this week at the Loeb Ex: Nov. 11, Nov. 15, Nov. 16, and Nov. 17 at 7 p.m., and Nov. 18 at 2 p.m.